Purpose: Using the link provided in the Contracts page, you will release a contract in ctcLink. 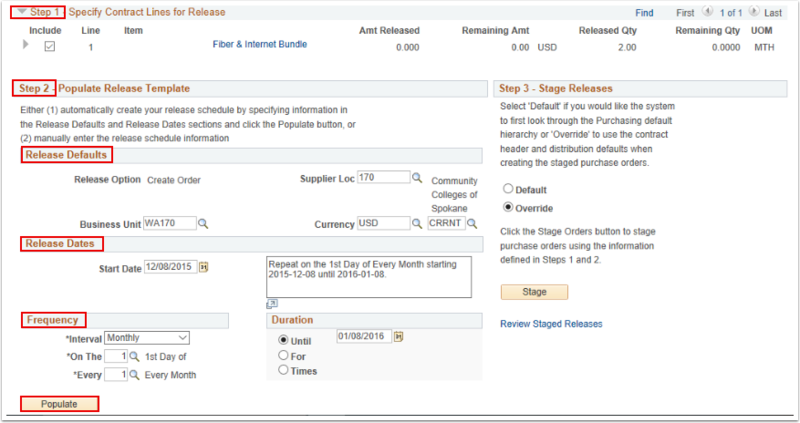 Administering Purchase Order Contracts is the process of managing blanket purchase orders within ctcLink Purchasing. Purchase order contracts arise out of an agreement to purchase goods or services over a certain period of time, for a specified price, with stated release or shipment dates. One of the activities may be to release lines of the contract to PO. Enter Set ID and Contract ID. 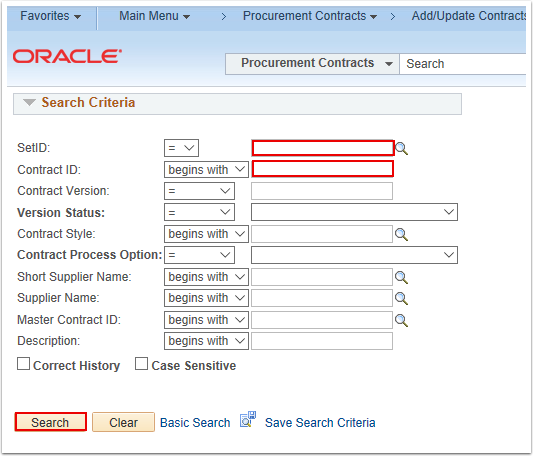 Use the Contract page to view control information and establish the type of contract. Select the Contract Release link. 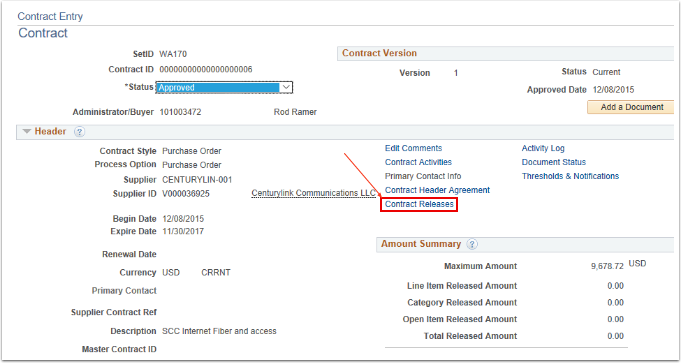 In Contract Release page, expand Step 1 to select the required contract lines to release for PO. In Step 2, Verify the Release Default details. Make sure that Supplier location is correct. 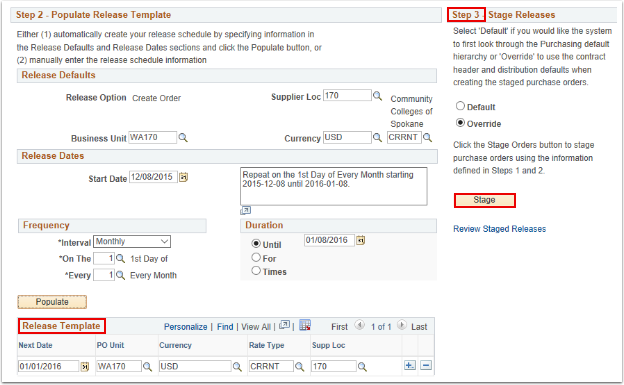 Based on Release requirement, you can set up Release dates, Frequency and Duration. The Release template should be populated based on release frequency. Verify these details. Select the Stage Button in step 3. You will get message that "Contract releases successfully staged for ?? release date(s)." Select the Review Staged Releases link to review release information. Select the PO date to get the PO details to review the details. If everything looks fine, then Save the page; otherwise Delete the details. You have successfully released Contract POs from contract.